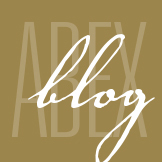 Claims - ABEX Affiliated Brokers Exchange Inc.
Navigating the Lloyds market in the event of a claim can be complicated. Our claims manager has over 30 years of claims handling experience. We work closely with our adjusting partners in order to expedite the claims process and settle each claim on the best terms possible. Our dedicated, proactive claims handling approach will help you keep up and stay ahead. After hours claims are handled directly by Crawford Adjusters.